Whenever I am asked at School what I do for a living I try to explain that I’m a Blogger and this is something I do almost full time, many times I am met with blank stares and questions of “What is that?” and “How can that be a job?”. Even in 2017, people just don’t understand Blogging and therefore can’t see how money can be made from it. It is still seen by many as a hobby and a way of writing down the musings of a bored Mum. When I started my main blog Emmy’s Mummy back in 2011, there certainly weren’t as many ‘Parent Bloggers’ around. I certainly didn’t know what I was doing, and I really didn’t think that it would become my sole source of income. Back then, I was unaware you could make money from Blogging, I just did it as a way to escape, to keep family members up-to-date with what I was doing at home with Emmy and as a way of ‘speaking’ to an adult audience when I would have possibly have gone stir crazy being home with a non-verbal baby when I was used to having a large social circle around me both for work (as a Nanny) and out of work too! Fast forward 6 years and when I am asked what it is I do, I no longer mumble ‘Blogger’ but I am happy to proclaim it to anyone who will listen. I am happy to take the time to explain to those who don’t get it just what it entails. After all, if I can’t explain to them what it is I do how can I explain to that company who emails me wanting free ‘exposure’ what it is I am able to offer? So what does a typical day entail for this Blogger? My working day starts upon waking, after making the children’s breakfast I check emails and reply to those which have come in over night – many clients are from overseas so we have different working hours. I then grab a shower, dress, get the children ready for school and do the school run. Returning home at 9.20am, I will re-check my emails and reply to those which have then come in since I last checked, prioritising those which need instant reply’s and putting off others for when I have a free half hour. I’ll then unload the dishwasher, make all the beds and pop in some washing. Put away any clean washing and run the hoover round. The laptop then goes on around 10am and I’ll draft posts which need to go over to clients for approval, working down my to-do-list, which seems never ending. I try to set timers so I don’t spend too long on the same tasks – if I don’t I spend all day re-drafting and re-wording until I am happy – or I will stare at a screen unsure what to write next. Once happy I will either send over to the client or leave until the next day so I can re-read afresh to be sure I get the key points across and haven’t missed anything. The washing then comes out of the machine and is hung up while I grab a quick lunch, the dishwasher is unloaded and dinner thought about or prepared. I’ll then make any calls which need making, skype clients while it is quiet and reply to those emails from the morning. I will then read and answer all new emails before taking photos needed for blog posts or editing those taken on previous days. Next up is the to-do-list, I will work down this until 2.30pm when it is time to leave to collect the children. 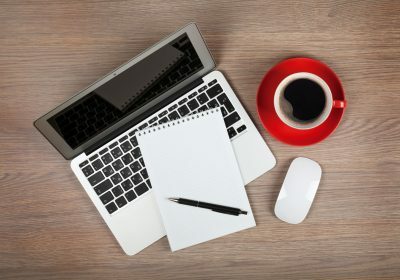 This could entail writing reviews (leaving in drafts until the photos are taken and edited), writing paid posts or doing work behind the scenes such as fixing broken links, commenting on Blogs,social media or collecting material for my BlogOn Conference Blogging Tips posts or my Britmums How To’s round-up posts. After collecting the children from school my time is then theirs, until they go to bed at 8.30pm. I will then get the laptop out again and work through all unfinished jobs for the day, answer emails which have come in since I last looked and work until around 11.30am/midnight, before heading to bed and starting again at 6.30am the following morning. The life of a WAHM is never ending, the jobs can’t be pushed aside when you walk out of the door because you never really close that door. Sometimes, I really wish I had an office to head out to so I could forget the washing pile on the side, but it’s always there. Of course, it does mean I am able to attend ALL the kids school events but at what cost? I don’t switch off, if I go into the kitchen to grab a drink I’ll see the washing up which needs doing or other jobs which I need to do around the house. If the kids are poorly the housework is still there and clients at the end of the phone/email are unaware of home circumstances so I find myself answering when I actually should switch of and just be Mum for the day. There isn’t an ‘Out Of Office’ for WAHM’s really and we don’t call in sick, even when we try not to work and just be a parent – having access to emails means we will always look and we will always do those jobs around the house which just don’t do themselves because putting them off just means more work the following day. So, next time you think about saying “Work from Home Parents have it easy”, remember they don’t have it as easy as you think they do. They work just as hard as you……and may even put in more hours as they don’t leave their office! I’m trying really hard to get the balance right between working at home and being a mum at home. Particularly a struggle as I try and get up early to work before school too. This is the kind of day i would love to have! I currently working towards it, thanks for sharing.